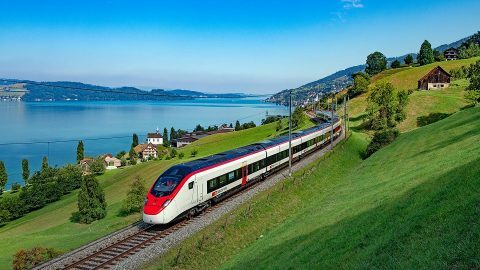 The new SMILE high-speed train, also called Giruno by SBB, was licenced by the Swiss Federal Office of Transport (FOT) for operating on the country’s rail network including the Gotthard Base Tunnel. The vehicle will be entered into service in early summer 2019. The licence was issued on 4 April. The Giruno train was certified for operations at a speed of 200 kilometres per hour. The high-speed multiple unit was being tested during two years in the four intended operating countries – Switzerland, Italy, Germany and Austria. 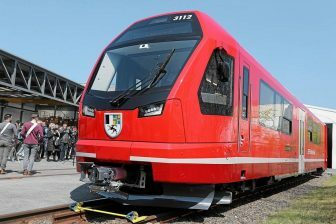 SBB has ordered 29 SMILE trains for operating in the Gotthard Base Tunnel that was opened at the end of 2016 and in the Ceneri Base Tunnel that will be launched at the end of 2020. SBB called the SMILE trains as Giruno that derived from the Rhaeto-Romanic word for a buzzard. The Giruno single-decker high-speed trains are capable to carry 810 passengers on seats. 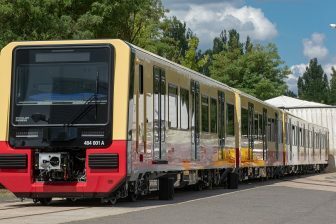 The units with a length of up to 400 metres are equipped with a low-floor entrance for the different platform heights in Switzerland, Austria and Italy (55 centimetres) in relation to Germany (76 centimetres). 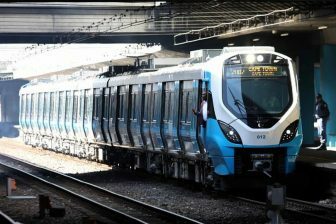 The trains are convenient for passengers with limited mobility, they provide wheelchair-accessible places and toilets. The Giruno vehicles also offer to the passengers good reception for mobile devices, power outlets at all seats, large luggage racks, gender-separated toilets and a modern lighting concept with energy-saving LED lights. The whole interior is spaciously and brightly designed.